For fuller busted women seeking upper bust control, full coverage, and medium impact support. 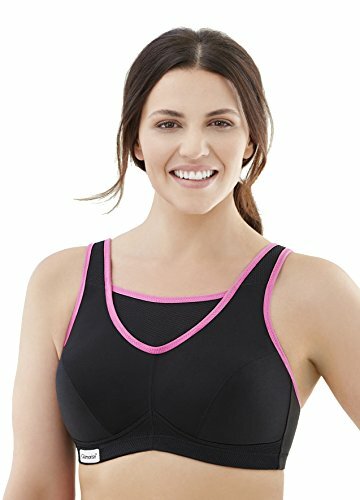 Open mesh cami design provides breathable upper bust containment during active workouts. Reinforced wire-free cups provide exceptional support and comfort while the moisture wicking fabric keeps you cool and dry. Manufacturer: Glamorise Foundations Inc., aka Maidwell Bra and Corset Co. Publisher: Glamorise Foundations Inc., aka Maidwell Bra and Corset Co. Studio: Glamorise Foundations Inc., aka Maidwell Bra and Corset Co. If you have any questions about this product by Glamorise, contact us by completing and submitting the form below. If you are looking for a specif part number, please include it with your message.